Grohe, the world's leading provider of sanitary fittings, has committed itself to delivering innovative water products carrying its brand values of technology, quality, design and sustainability. Recently, Grohe conducted "Oktoberfeast for the Senses" in partnership with Wilcon Depot, the country's leading home improvement and construction supply retailer last October 20, 2017 at the BGC Amphitheater, Taguig City. Oktoberfeast for the Senses is an overload of sensory experience with high-end German brands and exhibits. 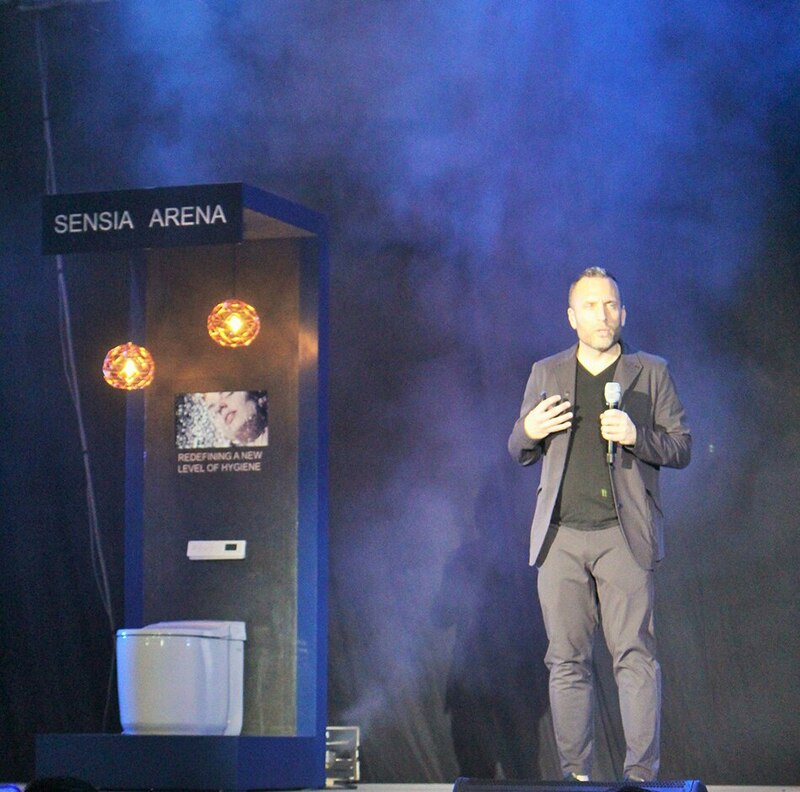 During the event, Grohe revealed two of its most game-changing products that have won accolades and patrons the world over; Aquasymphony Luxury Shower and Sensia Arena Spalet Shower Toilet. Grohe's Aquasymphony Luxury Shower offers an extravagant experience that will make you want to change your bathroom as your personal space for the most satisfying showering experience. It is designed to transform the concept of showering into ultimate luxury spa experience. It is also probably the most luxurious shower in the world with its amazing technological features that will let you choose from its 8 different built-in sprays and its highly-advanced sound system that mixes your favorite music with the sound of splashing water, which can help you enjoy your shower in new ways. Sensia Arena Spalet Shower Toilet, meanwhile, was created to maximize personal comfort and hygiene through gentle and smart cleaning. Having modern, elegant and well thought-out designs, Sensia Arena can guide users through a dark bathroom with its discreet night light. It also creates a feeling of comfort and confidence with its automatic open and close feature for the lid. As it is made for personalized comfort, you can set options for your preferred water pressure and temperature, spray pattern and cleansing cycle which you can store your favorite settings on a digital device. Among its numerous benefits, Sensia Arena has self-cleaning features and innovative odor absorption which works with an Airshield to keep all smells in the bowl. The night was loaded with a tempting indulgence of German food, products and fun. 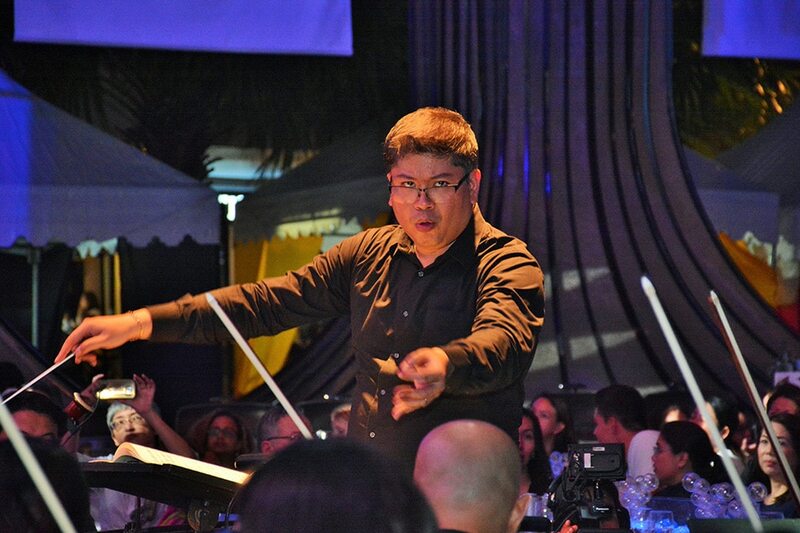 Maestro Gerard Salonga conducts the ABS-CBN Philharmonic Orchestra. Adding to the excitement and enjoyment, ABS-CBN Philharmonic Orchestra performed the finest and most loved German classical music and arias under the baton of Maestro Gerard Salonga with soprano Lara Maigue, and DJ Hannah Ichiko played with the beat that filled the night of chill music. The event feast was hosted by Tessa Prieto-Valdes. Also present at the event was Grohe Vice President of Design Michael Seum. The award-winning American designer professed that design is a key pillar of their brand. He is responsible for delivering insight-driven, meaningful solutions that capture the spirit and imagination of Grohe consumers throughout the world. Grohe Vice President of Design Michael Seum talks about how design is a key pillar of their brand. With more than 240 design and innovation awards, Grohe continuously commits itself into creating exceptional and ultimate in-home water products with its legendary quality that lasts a lifetime. Grohe products are exclusively available at Wilcon Depot stores nationwide. Check out www.grohe.ph or www.wilcon.com.ph to find a Grohe showroom near you!